Cho here, bringing you a late editorial for volume 2 of My Youth Romantic Comedy is Wrong as I Expected. But better late than never, as they always say? At any rate, a big thanks to everyone who commented in the open forum for this volume. There are some spoilers in this editorial, so I recommend reading the book first. There are two main stories for volume 2. The first has the Service Club helping out Hayato Hayama, who is concerned by the hateful chain emails being passed around in his class. And then the second story involves Saki Kawasaki, whose little brother is worried about her returning home at 5 in the morning most days. In the end neither of the problems are really solved — instead Hachiman just comes up with a way for everyone to accept the issue at hand and get by without things turning too sour. I find these sorts of “non-endings” to be refreshing, and in turn I find Hachiman to be a rather unique protagonist in general. He’s not a likable boy, as evidenced by his repeated acts of unkindness throughout this volume (e.g. his harsh words toward most everyone, not standing up for Totsuka, laughing at Hayato, and more or less telling Yui to stay out of his life in the final chapter). I’m also not sure if I could call Hachiman compelling, at least in the traditional sense. He plays an active role in the stories, but it’s not by his own choice. He’s forced into these situations by his violent teacher, and his pseudo-solutions can be seen as him simply trying to get out of said situations as quickly as possible. In short, I think it’s simplest to call Hachiman a funny character. If he’s not making a rude observation, he’s basking in his self-defeatist complacency. You could say he “gets the job done,” but it’s usually in a manner that’s bound to upset someone (which typically leads to more woes on Hachiman’s behalf). It’s amusing, waiting for the other shoe to drop. And it’s amusing to see how someone as insufferable as Hachiman can actually be of help to his fellow students, in his own unusual way. One of the random things volume 2 repeatedly brings up in Hachiman’s musings is how Chiba is forever destined to exist in Tokyo’s shadow. 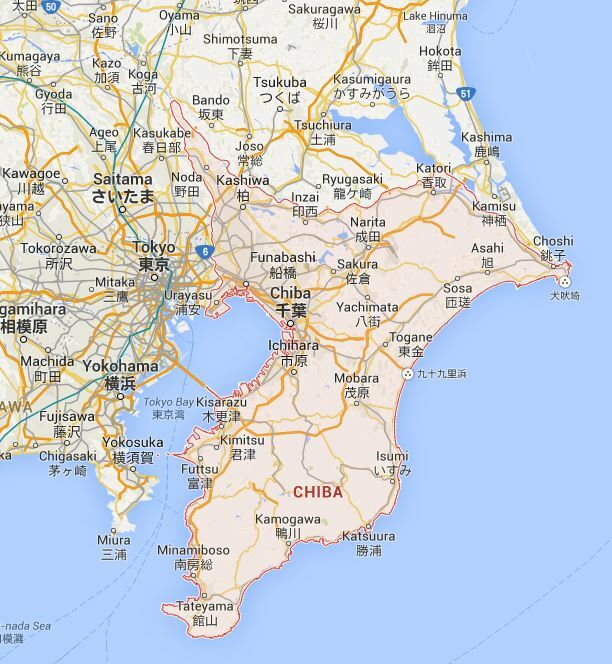 Nobody seems to care for Chiba, when the world-famous Tokyo is right next door. Tokyo even gets to take all the credit for Chiba’s “achievements” (the Tokyo Narita Airport, the Tokyo Game Show, Tokyo Disney Resort, etc). It seems clear that Hachiman empathizes with his home city/prefecture, and perhaps takes pride in its status as a place that isn’t known for anything particularly special. Chiba Prefecture has its own festival dance, he notes — but the same can be said of any other prefecture in Japan. Regardless, Chiba is still its own place, and Hachiman his own person. When the Service Club is enlisted to help solve the case, Hachiman’s “unique” perspective as an outsider might finally come in handy… or he could still just be a loser. In most underdog stories, the protagonist is an individual who struggles to improve in some manner. Someone who wants to save the day, be loved by others, or become the champion. Hachiman can perhaps be considered an underdog, but he doesn’t seem to have any desire to excel at anything. Hachiman is one of the “losers” in high school society, and he knows it. But more than that, he seems to specifically want to be that kind of person. This can partly be chalked up to him being a contrary teenager, but it appears there is some hidden back-story that may explain his reluctance to form friendships with others and enjoy life. Though he is spending a lot of time with his classmates, he manages to keep some emotional distance from them thanks to his brusque attitude. He is determined to identify himself as a loner, even when he is not alone. The classmates he eats ramen with after school are just acquaintances — NOT friends! Anyways, I’d be happy to hear your opinions on the matter. 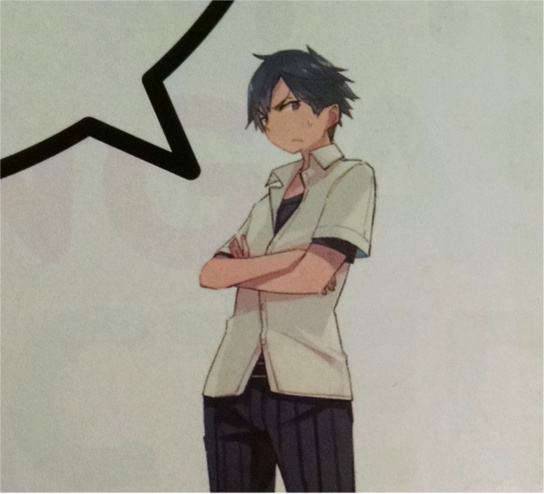 Is Hachiman really a loser? What would you say is the appeal of being such a loser? Or a loner? (So-called or otherwise?) And in what ways specifically do you think this volume stands out as a “wrong” youth romantic comedy? In some ways, I see Hachiman as a tragic character as opposed to being a loser. I mean, yes, he occupies the space normally associated with losers in high school life. But because he chooses it, no, at times seems to exile himself to it, I can’t quite put him in that category. I sometimes find him painful to read, not because of his callous nature, but because of the hints of pain so raw, he has convinced himself his current place is just and superior. I think the wrongness in this romantic comedy is the characters themselves. They all have some great capabilities, but they also have flaws/insecurities which prevent them from harnessing those gifts. Things are wrong because the characters expect them to be so. Hachiman in many ways represents the term self-fulfilling-prophecy. And I guess that’s why he’s so interesting. With the smallest changes, he would be a popular character. Heck, with a few tweaks, he’d still be a better than average harem MC. But his emotional scars and the persona he has now created continue to sabotage him. Or, I suppose in his case, continue to keep him where he “wants” to be. Much of Hachiman’s troubles stem from his own personality — this is a big part of the comedy in this series. But yes, it’s sad too. The ending of this volume in particular is quite sad, because it’s essentially Hachiman specifically choosing to make things more unpleasant for himself, though he’s convinced himself that distancing himself from Yui is for the best. But perhaps any other scenario would legitimately make him uncomfortable. At some point in the story he amusingly notes that there would be no troubles in the world if everyone would adopt his loner lifestyle. Nobody can hurt him when he’s alone. But, of course, he’s not alone — and as his luck would have it, he’s stuck with Yukino, whose m.o. is delivering the harshest truths coldly and consistently. This is perhaps what’s most “wrong” about Hachiman’s situation. Though he’s been paired up with a cute girl (a familiar scenario in high school club stories), all Yukino does is point out Hachiman’s faults and make him feel miserable. But like you say, perhaps that’s really how he wants things to be. I think the appeal of Hikigaya comes from his observations. I think one of the first of these kinds of characters is Kyon from The Melancholy of Haruhi Suzumiya, and another would be Oreki from Hyouka. I think that what makes Hikigaya better than them is that he actually says the sarcastic things he thinks, I think that his honest cynicism is what makes him attractive despite him being a loser. I think he basically sees everyone else(except maybe Yukino) as fraudulent in their behaviour and basically he would rather be a loser than a fraud or at any rate that’s how it seems he rationalises it. If I had to interpret his constant references to Chiba in any way, it would be that perhaps he identifies Chiba’s situation as reflecting his own lol.